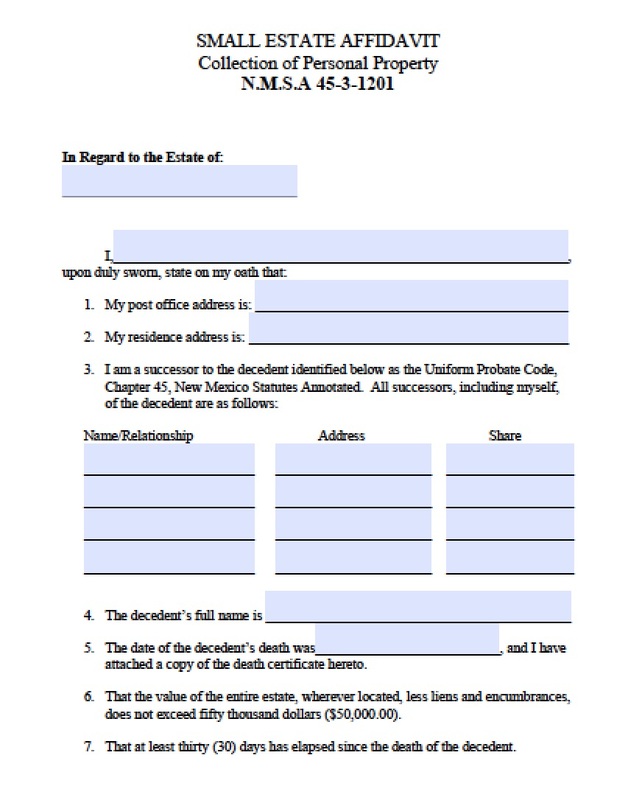 If a decedent leaves an estate without a will that values less than $30,000, a “disinterested party” may file an affidavit of heirship specifically involving the claim that this third party will administer the estate to the heirs, but will not profit from doing so. 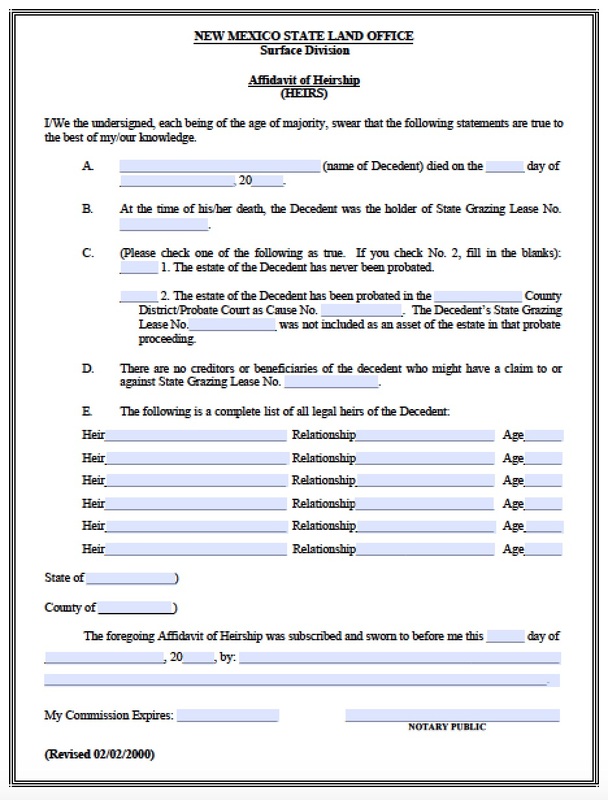 This third party should know the decedent, but in many cases will not be related to them in some way, such as a child or a surviving spouse. 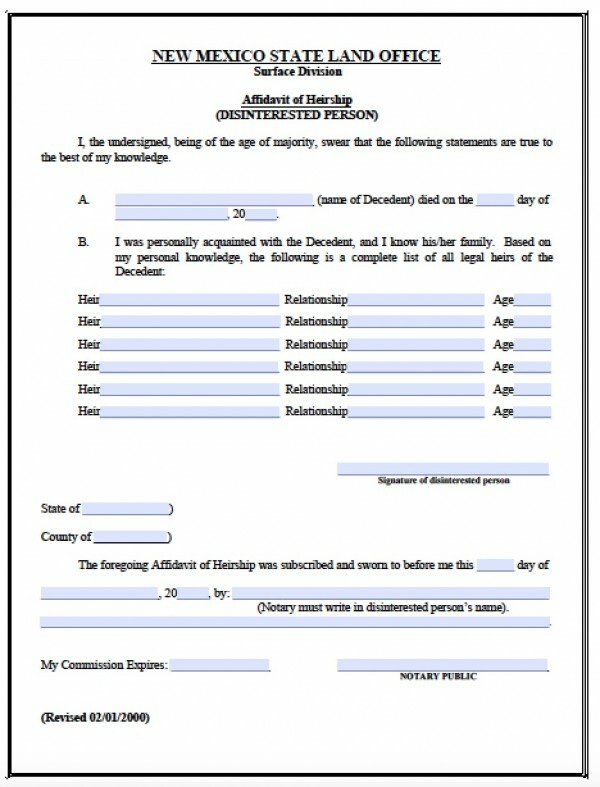 The affidavit of heirship of a disinterested person is defined under New Mexico statute 45-3-1201.